At the eleventh hour, Saab’s filing for voluntary reorganisation has been approved. It was initially declined but after an appeal it has been approved by the Swedish government. The approval means that the company is protected against bankruptcy. The Saab factory in Trollhatten, Sweden, has been dormant for most of the year following problems with cashflow - Saab were initially unable to pay suppliers, and eventually had insufficent funds to pay staff. 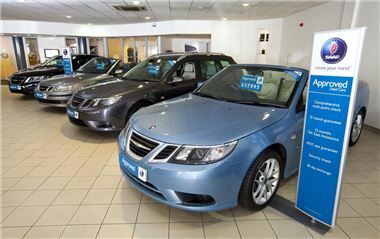 Numerous requests were submitted requesting that Saab be declared bankrupt. Two Chinese auto companies have agreed to provide long term funding, but in the short- and mid-term the company has run out of money. The reorganisation will be overseen by an independent official, and involves improving the efficiency of all the construction processes, with the aim of reducing lead times. Saab aims to have a new, cost effective business plan in place by the start of 2012, but whether it will be enough to save the troubled company in the long run remains to be seen.